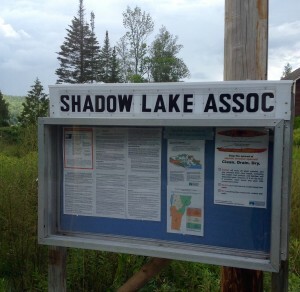 News, updates and recent issues that effect the Shadow Lake Association appear here. Unless otherwise noted, you must have Adobe Reader (available free of charge) installed on your system in order to read or print the documents that are mentioned in the news items below. 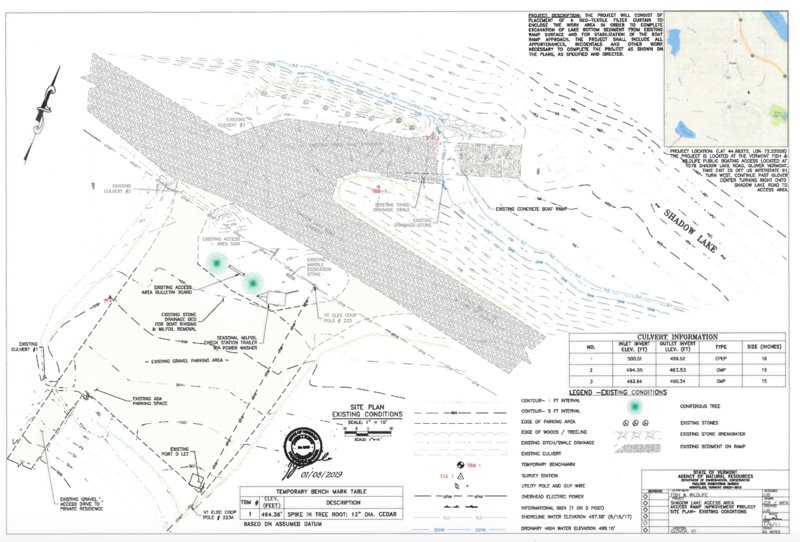 New Shoreland Development Proposed for Shadow Lake, A ‘Wastewater System and Potable Water Supply’ Permit ID#WW-7-5075, and a ‘Shoreland Protection Individual Permit’ ID #32790. were filed in February 2019 with the state for the property located at 481 Stone Shore Rd. The property was sold in 2017 to the current owners. The Shoreland Protection permit includes the engineer plan to clear 39% of the wooded area, The state allowed threshold is 40%. Additional clearing for the mound system and road for machinery access is exempt and could amount to a total of 75% cleared lot. New impervious surface, building construction to include a 2 story – 3 bedroom cottage, a new footprint for a 26 X 28′ garage with overhead 1 bedroom apartment, new driveway, relocating waterlines, and construction activities within the area of the water ditch coursing through the middle of the lot that outlets at the lake shore. 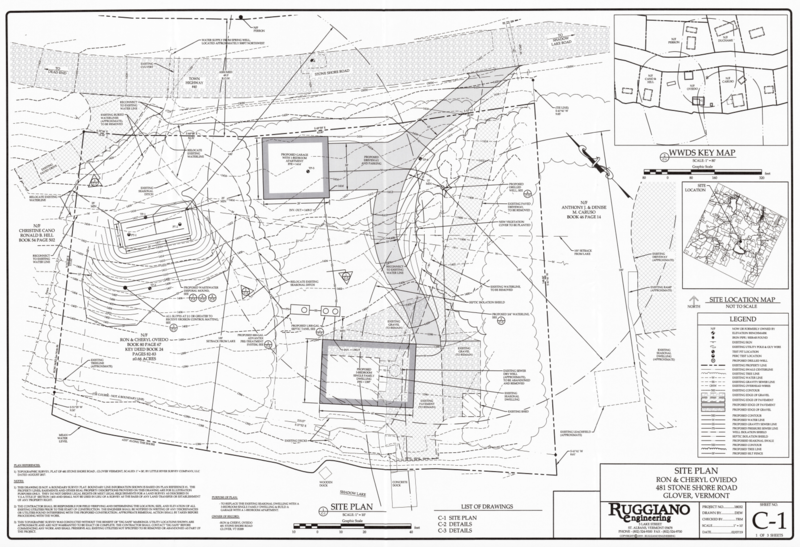 Some revegetation is proposed. Comments regarding the project under the jurisdiction of the Shoreland Protection permit may be submitted to the state Environmental Notice Board (ENB) after the permit moves out of “Technical Review” and into the “Draft Decision/Draft Permit” stage. A “Public Comment Period” if applicable, will be held for at least 14 days after the draft decision or permit has been issued. Public comments can only be submitted during this time frame. A public meeting can be requested. There is a time line for appeals and you must have commented in order to be able to appeal a decision and an individual may only appeal issues related to their own comment(s). The ENB is not very user friendly, if you have questions or experience trouble while searching the ENB or submitting a comment, please contact the ENB Administrator at ANR.ENBAdministrator@vermont.gov. VT Dept. Fish and Wildlife to Dredge Sediment Form Shadow Lake. DF&W filed for a state ‘Lake Encroachment Individual Permit’ on 10/23/2018 for work at 1378 Shadow Lake Road to dredge 25 CY of sediment from existing boat ramp at Shadow Lake to improve boat access at public launch. Work to extend no more than 30 feet beyond the mean water level (MWL). The draft decision was issued on 01/31/2019. Public comment period was open 01/31/2019 through 03/04/2019. No public meeting was scheduled. View the entire revised final application. The Vermont Reptile and Amphibian Atlas Project gathers and disseminates data that are needed on the reptiles and amphibians of Vermont in a way that involves and informs Vermont individuals and organizations so that they can become more informed and effective stewards of wildlife habitat. You can help! Reports and photos are needed for five species in Glover; Eastern Newt, Gray Treefrog, Northern Leopard Frog, Painted Turtle, and Spring Salamander. See their table of data gaps most needed for Glover last updated on 7-30-2018 – Type Glover in the search field. Feb 2, 2019 is Worlds Wetland Day read a commentary ‘Wetlands are economic, natural and recreational asset’ by Rose Paul, who is director of Science and Freshwater Programs for The Nature Conservancy. State Denies Herbicide Treatment For Invasive Milfoil In Lake Iroquois. State environmental officials have rejected a plan to use a powerful chemical herbicide ‘Sonar’ to control an invasive water weed in Lake Iroquois in Chittenden County, saying the potential environmental damage did not justify its use. The Lake Iroquois Association said the Vermont Department of Environmental Conservation took 693 days to issue its final decision. The proposal was rejected because it did not sufficiently consider non-chemical alternatives and could damage native plants along the lakeshore. The association has tried a number of other measures, including using divers to suction the plants off the bottom and placing barriers in the lake to stop its spread. The state’s permit decision notes that invasive milfoil has been in the lake for years and is likely to remain there, no matter what is done. Read the VPR news article Oct 11, 2018 and read the VTDEC denial decision. Field Update: Loon Wins and Losses from the VT Center For Ecostudies September 2018 article by Eric Hanson, biologist for the Vermont Loon Recovery Project. This summary illustrates citizen science in action—people taking the time to report on or directly help save a loon in trouble, or help us figure out how they died. On-Site Septic Drainfield Innovations Around Vermont’s Lakes and Ponds For a tiny state, Vermont has a lot of lakes and ponds, over 800 total. In the 1950s and 60s, many seasonal cottages were constructed on very small lots to serve a limited occupation and use. Today, there is pressure to use these cottages more frequently as rentals or to convert them to year-round residences. Many of these properties were developed before environmental regulations were in place and when little was known about soils and wastewater treatment. 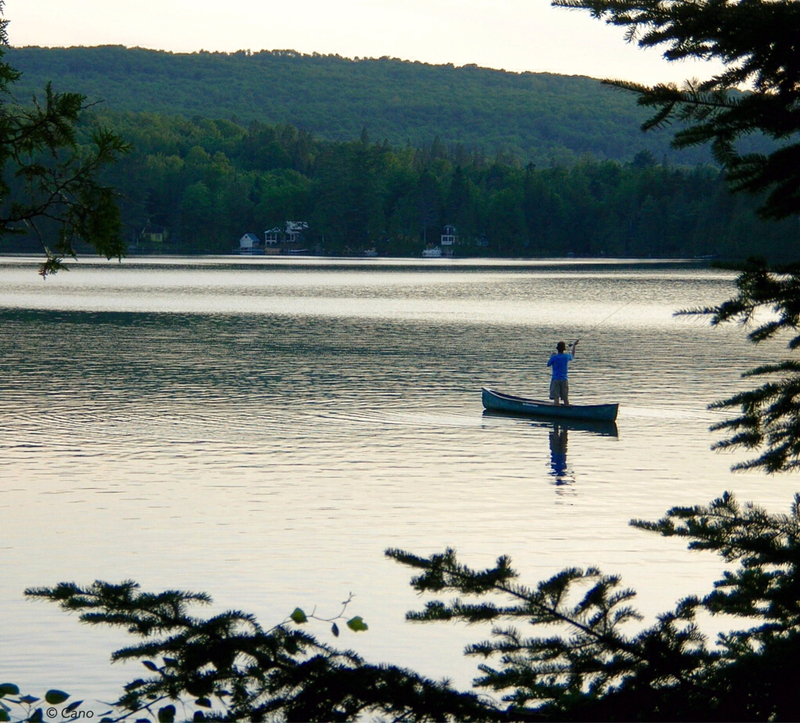 Prior to purchasing a property on a lake or pond, know the septic limitations. The property may not be able to be converted into a full season home without a substantial investment. If you are thinking of renting a lakeside property, consider the risks and costs associated with repairing a failed wastewater system. Read the Sept 19, 2018 article from –The official blog of the Vermont Department of Environmental Conservation’s Watershed Management Division. Also see our Septic Primer page. Zebra mussels recently confirmed in Lake Memphremagog! 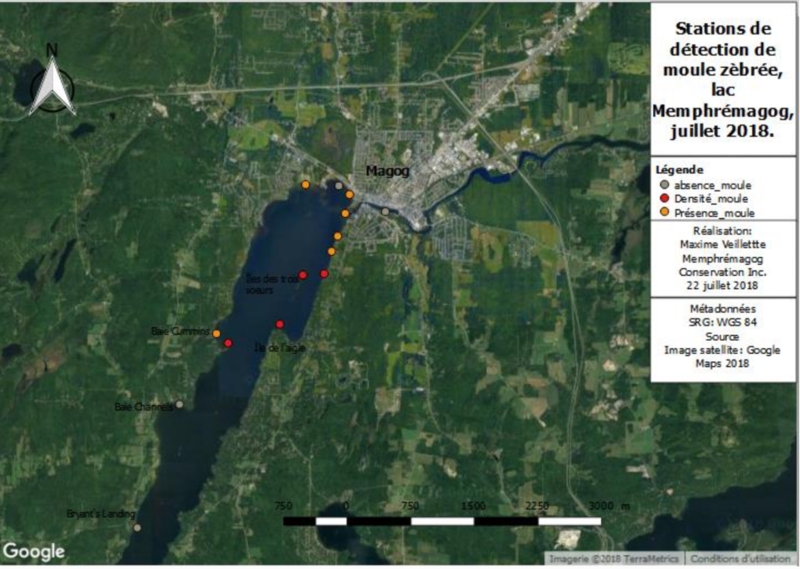 Satellite image from the MCI July 2018 report mapping stations of Zebra mussel sites in the northern section of Lake Memphremagog. How Can We Protect Lakes From Road Erosion? Act 64 mandates all hydrologically connected roads (class one through four) be maintained according to new road drainage standards. The new Municipal Roads General Permit (MRGP) is intended to achieve significant reductions in stormwater-related erosion from municipal roads, both paved and unpaved. Municipalities will implement a customized, multi-year plan to stabilize their road drainage system along the shoreland. The plan will include bringing road drainage systems up to basic maintenance standards with additional corrective measure to reduce erosion, manage sediment and nutrient pollution from roads as necessary to meet a TMDL or other water quality restoration effort to help to protect lakes. The MRGP is only for municipal roads rights-of-way and does not include private roads or driveways. However, there are practices that landowners should follow on their own private roadways to prevent sediment and nutrient runoff to the lake. The SLA Watershed Committee is working to inventory several road erosion sites around the lake for repairs while adapting MRGP tools to identify and fix eroding sections of private roads. We all must work together to protect Shadow Lake! More information at the VT DEC MRGP website. Shoring Up! Stabilizing Your Lake Shoreline. Learn about the preferred approach to stabilization projects that mimic the properties of a natural lake shoreline to achieve long-term shoreline stability. Read the VT DEC ‘Flow’ blog June article. Also check out our Shoreline Protection webpage: Do I need a permit for my shoreline stabilization project? Will you be working below mean water level? 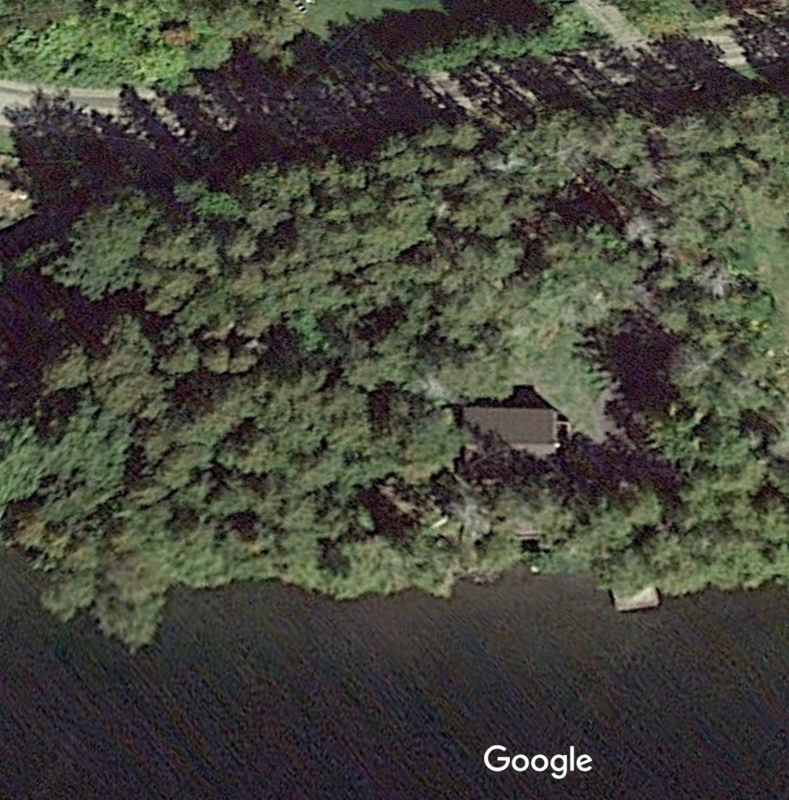 If YES, then check out Lake Encroachment permitting. Will you be removing vegetation or creating new impervious surface as part of the project? If YES, then check out Shoreland Protection permitting. Unsure of how to proceed with a project? Wondering what your permit says? Get in touch with your regional Lake and Shoreland Permit analyst. Check out this list of shoreland best management practices. Scientists Explore Deterioration Of Cleanest Lakes In Vermont. As the debate goes on over what to do about the state’s water quality crisis, scientists and others whose job it is to study the lakes themselves are reporting some curious findings: the water quality in Vermont’s most polluted lakes is actually improving, a little, but the quality of its cleanest lakes is deteriorating, and they’re not entirely sure why. Long-term water quality monitoring indicates that our restoration efforts targeting eutrophic (high nutrient) lakes are working well; however Vermont’s oligotrophic (low-nutrient) lakes (Shadow Lake) show declining water quality trends. Because these lakes are still considered healthy, restoration efforts have not been focused in their direction. Oligotrophic lakes are ecologically and economically important to Vermont’s landscape. Healthy lakes need enhanced protection to preserve their existing water quality and to prevent further decline. Common Loons Are Continuing Their Astonishing Recovery- In one of Vermont’s most striking conservation success stories of all time! The statewide Loon population grew from 7 adults more than thirty years ago to 106 adults on the annual July Loonwatch Day in 1998, to 308 in 2017, and the numbers of nesting pairs jumped from 25 in 1998 to a new record of 97 pairs last year, nearly reaching the vaunted century mark few could of dreamed of 40 years ago. see Vermont Center For Ecostudies Vermont Conservation Status: The Common Loon was removed from “endangered” in 2005. On Feb. 22, Rep. David Deen, Chair of House Committee on Natural Resources, Fish & Wildlife, introduced The Shadow Lake Association on the statehouse floor as one of several watershed groups visiting in support of the VT Clean Water Day. Water quality groups and individuals joined at the statehouse in the day of citizen activism to tell Vermont lawmakers it’s time to invest in clean water. The event was co-sponsored by the Lake Champlain Committee and the Connecticut River Conservancy, Conservation Law Foundation, Lake Champlain International, The Nature Conservancy of VT, Sierra Club VT, Vermont Clean Water Network, Vermont Conservation Voters, Vermont Natural Resources Council, and Watersheds United Vermont. Act 67 became Vermont law on June 08 2017 adding important amendments to strengthen Aquatic Invasive Species law. Read the AIS transport law update summarizing the new mandatory watercraft inspection. Read the legislative final version of S.75, now referred to as Act 67 or Read the legislative Act 67 summary. The Vermont Agency of Natural Resources Atlas is an online mapping tool for Vermont’s Natural Resources. With over 150 map layers available to make your custom map from across all of departments and other State and municipal agencies, you can use the Atlas to create a robust map for any purpose. The webpage also provides a FAQ link and a link to a webinar video on Youtube to learn how to use the mapping tool. Shadow Lake Boat Wash Leads the Way! 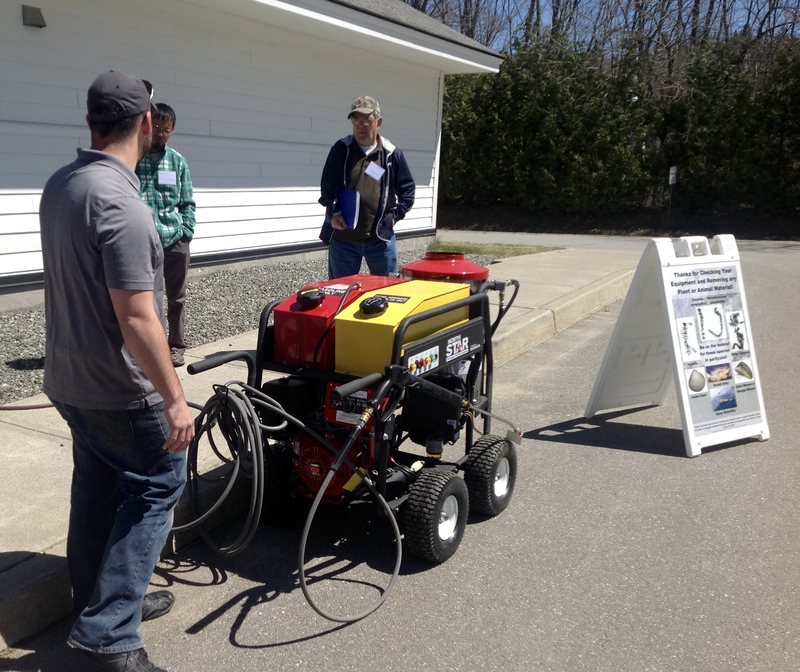 As Vermont’s Agency of Natural Resources finally steps up to provide 4 new mobile watercraft AIS decontamination stations utilizing 140° water and pressurized spray to begin operation at Lake Champlain. Two other VT lakes are now up and running these very decontamination units. Check out our Boat Wash page! Vermont’s Public Access Greeter Program had a record-breaking year in 2015 while working to prevent the spread of aquatic invasive species (AIS). Greeter’s educate lake visitors about invasive species and provide courtesy watercraft inspections for AIS.This past year, greeter’s conversed with boaters and inspected watercraft at 27 lakes in Vermont. They inspected over 21,000 watercraft, shattering the previous record of 18,407 set in 2012. According to the Vermont Department of Environmental Conservation Lakes and Ponds program, of the 27 State locations in 2015 where greeters inspected boats, Shadow Lake in Glover, was the only VT lake where greeters were actually washing boats in 2016! Of all the 2015 watercraft inspected, 659 were found to have either plant or animal material in/on the vessel, and Eurasian Watermilfoil was the culprit species in the majority of those instances. To read more about this announcement click here. See more information on the Shadow Lake Boat Wash and read more information on the Shadow Lake Milfoil Committee and ‘What We Do’. Vermont Shoreline Protection Act; Effective July 1, 2014, the Vermont Shoreline Protection Act applies to all lakes greater than 10 acres in size. 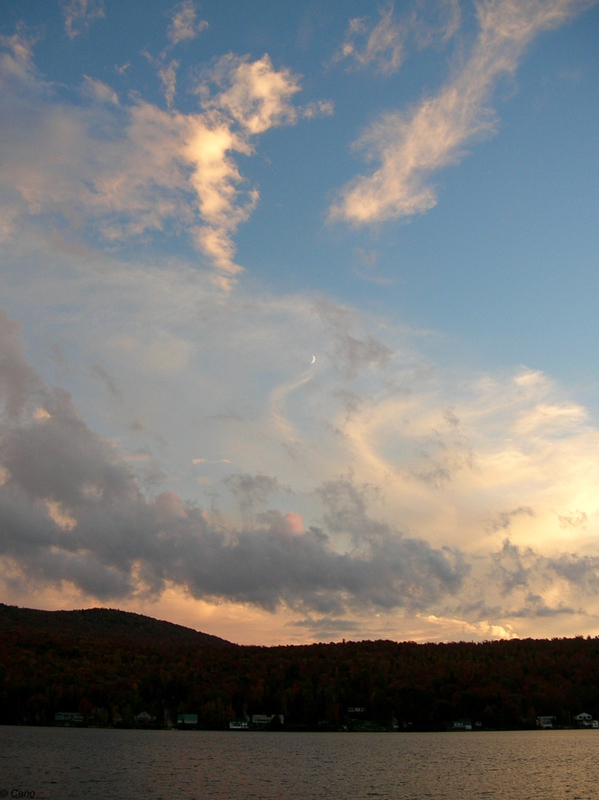 To read or download what this act regulates, see the The Vermont Shoreline Protection Act. For more information on State of Vermont Laws that effect the shoreline or water quality, please go to our Links page. Thinking of Upgrading your Outboard Motor? Consider the benefits of upgrading your outboard engine to 4 stroke technology. 2 stroke outboard engines emit 20-30% of the fuel-oil mixture unburned into the Lake! 4 stroke outboard engines are fuel efficient. Compared with 2 stroke motors, 4 stroke engines use half the gas and have 90% fewer emissions. Furthermore, 4 cycle engines have less gas fumes and are much quieter. Upgrading to a 4 stroke outboard engine will help to prevent lake and noise pollution ~ a benefit to all. Watch our bulletin boards located at Stone Shore Road, at the bottom of Clark Road and next to the Boat Wash at the State fishing access on Shadow Lake Road throughout the summer for breaking news and updates of concern for Shadow Lakers. To see the dates and times of sponsored activites by the Shadow Lake Association and/or changes in the scheduling of those events, go to the events page. If you have news that concerns Shadow Lake, submit it using the form and we will consider including it on this page. 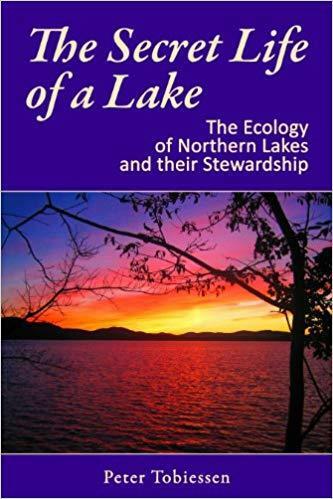 This 2012 book by Dr. Peter Tobiessen is highly recommended to any layperson wanting to understand how lakes function without the detail and organization of a textbook. The physical, chemical and biological features of lakes are described and how they interact is conveyed in an easy to understand manner without oversimplifying. 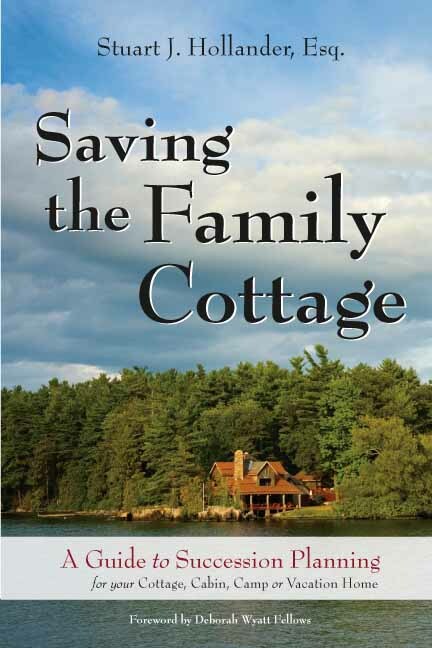 Published by Graphite Press, N.Y. 2012.
written by Stuart J. Hollander, Whether you’re a parent planning to pass on a cottage to your children, someone who has inherited a cabin with your siblings or other relatives, or someone who is thinking about buying a vacation home, you want to know how to keep the property in the family–and avoid squabbles over it. A good read. Rose Hollander & David S. Fry, 3rd edition 2009, published by Nolo. 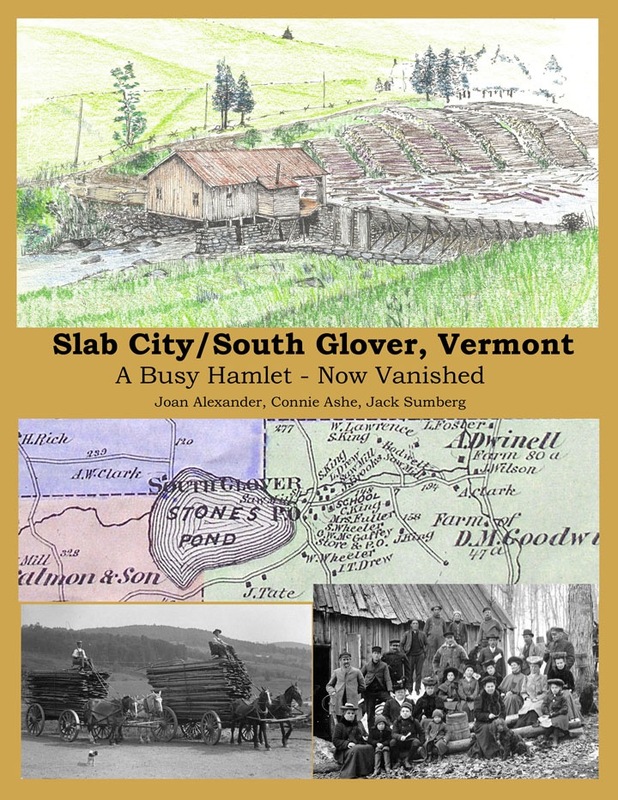 Slab City/South Glover, Vermont -‘A Busy Hamlet Now Vanished’, co-authored by Glover Historical Society members; Joan Alexander, Connie Ashe and Jack Sumberg. Published by GHS, December 2016. More info at Slab City. 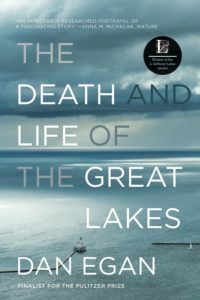 Of interest to Vermont waterbody health – The Death And Life Of The Great Lakes by Wisconsin author, Dan Egan, a two-time Pulitzer Prize finalist who is a reporter with the Milwaukee Journal Sentinel. Many of the challenges the Great Lakes states face are similar to ones affecting VT waterbodies. They include invasive species, agricultural runoff, excess nutrient loading and cyanobacteria blooms, the same bacteria that can be highly toxic to people and pets that closed beaches on Lake Champlain last summer and closed Lake Carmi entirely for months. While the book opens our eyes to the dire situation our lakes are in, Egan also spells out ways the lakes can be restored and preserved. Pub. 2017 by W.W. Norton & Company, NY.